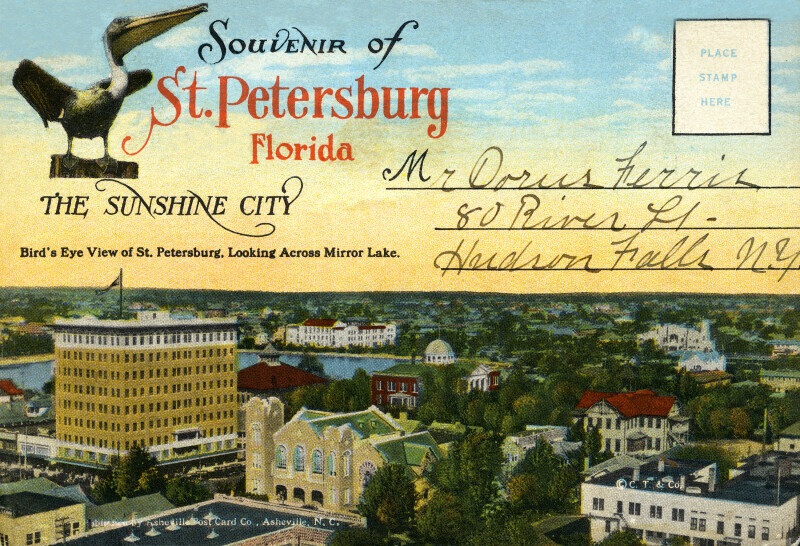 This cover illustration shows part of downtown St. Petersburg. In the distance, Mirror Lake can be seen, with St. Petersburg High School on the far side. WARNING: You are about to download a 20.2 MB TIFF!